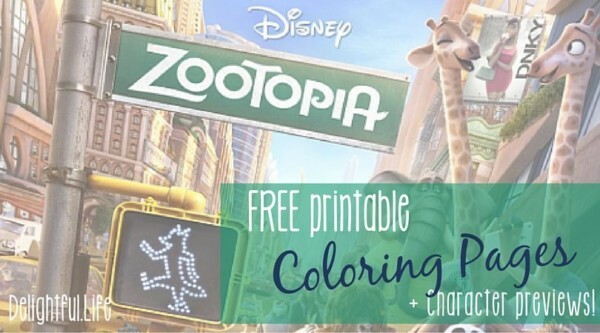 The countdown is on… Disney’s Zootopia is in theaters on March 4th! I have been absolutely ecstatic about this release since we learned so much more about it at the D23 Expo last August. In Zootopia, Walt Disney Animation returns to a long-standing history of animal films – only this time, the animals do not live in our world. Instead, they live in a metropolis designed by animals, for animals. Each neighborhood in Zootopia reflects its inhabitants. When the movie premieres next month we will discover Sahara Square, Tundratown, the Rainforest District, Little Rodentia, Bunnyburrow, and the bustling downtown, Savanna Central. 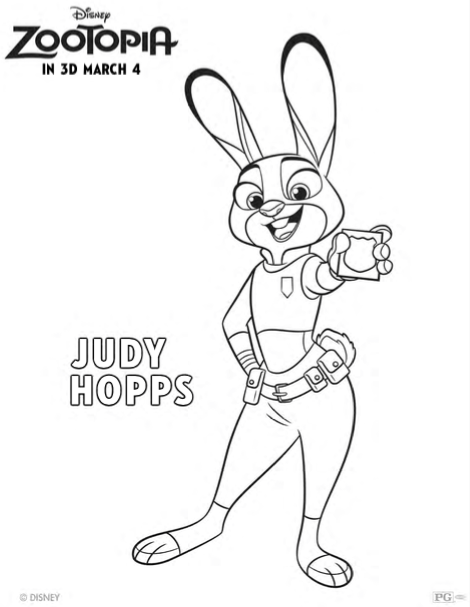 We will learn more about Officer Judy Hopps, the first bunny on a police squad historically made up of larger, stronger animals, and her fiercely optimistic belief that anyone can be anything they choose. We will determine whether Nick Wilde, a sly and conniving fox, can become more than that despite his stubbornness. The team creating Zootopia spent nearly two years just researching animals, including trips to Africa to learn and understand their behavior and place in the world. They’ve included 64 species in the movie and the more I read about the work that went into it the more I’m convinced it’s going to be as smart a movie as it is clever and entertaining. The team has explored the idea of predators and prey, animal stereotypes, and what to do with the audience’s expectations of each species. If you’re as anxious about the release of this film as my family and I are, I’ve got just the thing to tide you over! 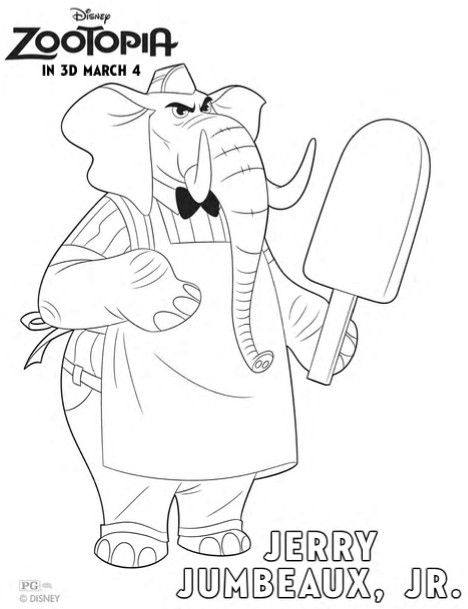 How about some adorable coloring pages?! 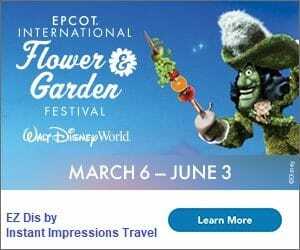 Click here to download all of the images. Judy Hopps (Ginnifer Goodwin) is from Bunnyburrow and is sweet, cute, small, and all bunny. She has always wanted to become a cop, despite her family history – and the fact that she’s not a big, strong animal – suggesting she’ll never make it. Her determination and unique skills make her a hero, however unlikely. 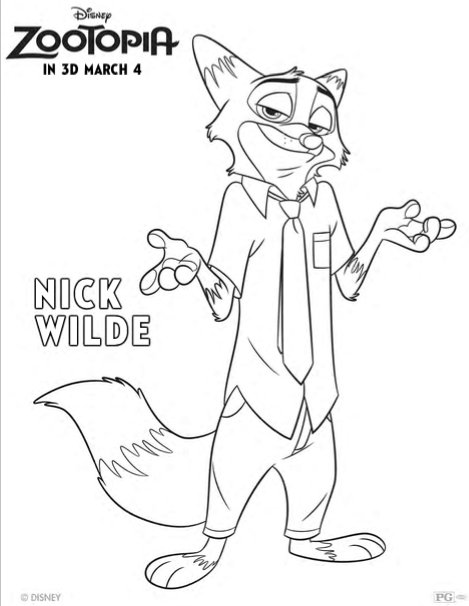 Nick Wilde (Jason Bateman) grew up in the city and is exactly what you may expect from a fox. He’s sly, quick-witted, and conniving. He doesn’t get along with bunnies, and is eager to take advantage of Judy’s optimism and perceived naivety. He’s innately cynical, and gives into the idea that he will never be anything more than a con artist, simply because he’s a fox. 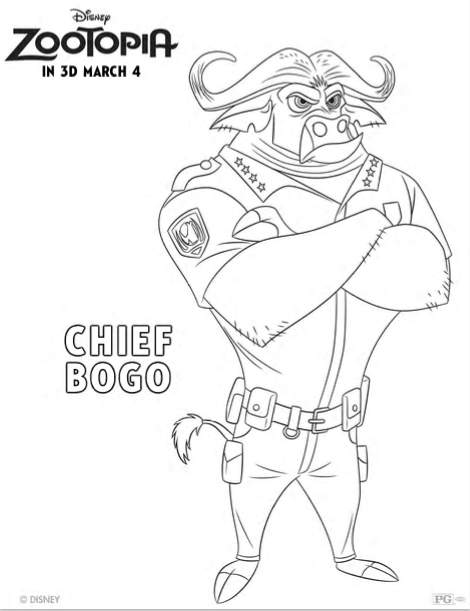 Chief Bogo (Idris Elba) is the epitome of the kind of animal that has historically made up the Zootpia police force. A giant cape buffalo proud of his strong team, he assigns Officer Hopps jobs like parking duty, assuming she is capable of nothing more. He’s strong and authoritative but quite funny. 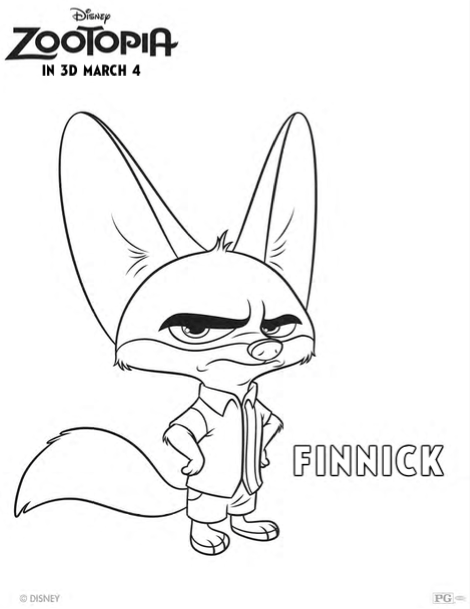 Finnick (Tiny Lister) is a Fennec Fox (my favorite animal, ever, by the way!). Nick’s sidekick, he may not be as adorable and innocent as he first appears. No doubt you have seen the hysterical preview featuring “Flash, Flash, Hundred Yard Dash” in his position at the DMV (the Department of Mammal Vehicles). I have seen that preview countless times (and even saw an extended version at the Expo) and every time it’s the same reaction: “Ha! Ok, this is getting a little long…. Or not. 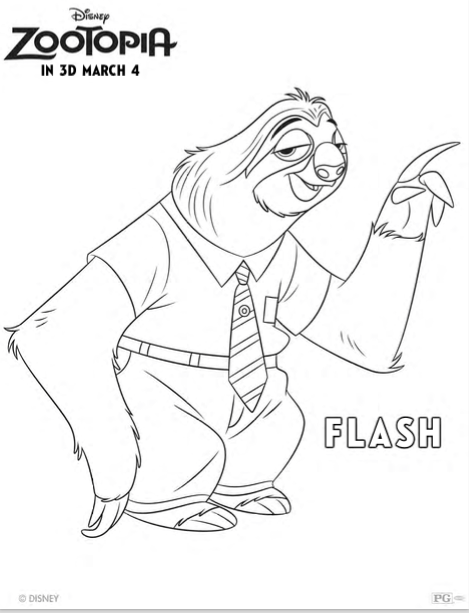 Hahahahahaha!” Voiced by Raymond Persi (of Disney Animation) it’s very clear that this character is going to provide plenty of comic relief. 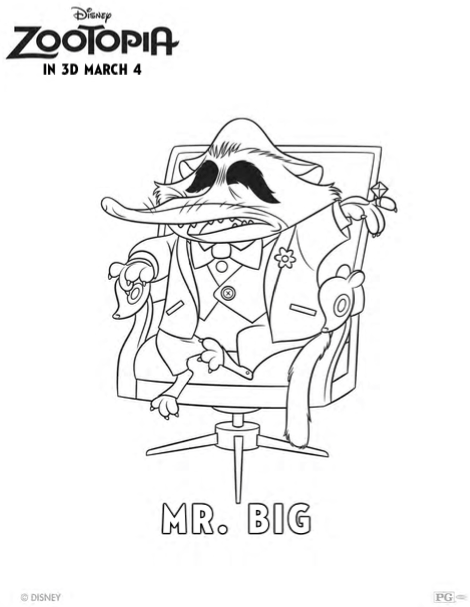 Mr. Big (Maurice LaMarche) is the crime lord of Tundratown. He is a Godfather-esque caricature that employs polar bears to do his dirty work since, after all, he probably wouldn’t get much done at his size! Yax (Tommy Chong) is almost certainly going to be another source of comedic relief. He is a hippy yak that believes animals were not meant to wear clothes or to bathe. He makes Judy incredibly uncomfortable, but may turn out to provide a lot of valuable insight. Jerry Jumbeaux, Jr (John DiMaggio) is a bit of a mystery to me. The owner of Jumbeaux’s Cafe, he was one of the very first characters I saw in clips at the Expo, but there’s been little else revealed about him. Who are you most excited to meet? !